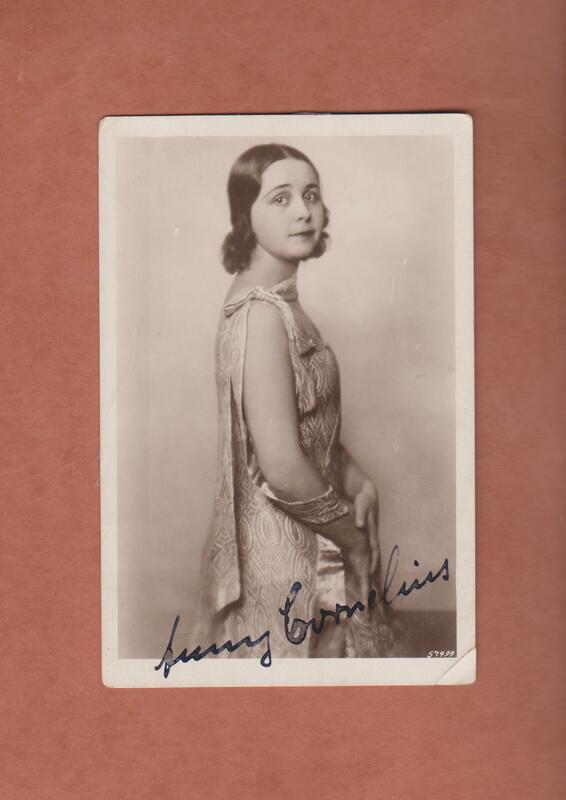 A GRANDE DAME – ANNY CORNELIUS, MY AUNT: 10-18-1898 to 6-8-1987. Opera singer. Sister to my mother’s mother. My grandmother was Amahlie Jeahne who was a concert pianist and also a soprano opera singer who sang Queen of the Night under the direction of iconic German conductor Herbert Von Karajan. Anny was the feisty one. She gave up her whole life for her opera career with the Berlin State Opera. She lived and breathed music. To Karajan’s astonishment she had perfect pitch. She could hit the note just like that! Karajan would always say: “Get the little dark one to hit the note, she can do it!” That…somewhat annoyed yet impressed opera diva Maria Callas. Callas would not associate with the rest of any cast much, but she always remembered my great aunt. Despite being German, Anny had somewhat of a olive complexion and thick, beautiful dark brown long hair and big brown saucer eyes. This intrigued both Karajan and Callas. So hence – Callas and Karajan dubbed her “the little dark one”. Both called her that for the rest of their lives. When in Venice, Callas would write Anny letters saying ‘my little dark one, the party won’t be the same without you, please come.’ Anny sang some of the top roles such as The Rosenkavalier and Carmen, her career was about to break so she would receive top billing continuously, but World War II ended what many believe, would have been an astounding career. As with 9/11, inhaling all that debris when running from the bombings and the gases, never brought her voice to quite what it was. The fate for so many singers at the time. So…she taught. Her classes in her 5 floor walk up apartment were much sought after. Royalty had proposed marriage to Anny. She could have any suitor she wanted. Her sister Amahlie married, Anny…was married to the passion of her music – her career. She had music in her soul! She sang for the soldiers during the bombing attacks in Berlin. He presence lit up a room. Her laugh was a rolling waterfall of notes. The life of every party, which is why Callas would always invite her. The letters from Callas are all gone. Anny was one of the first people to recognizably die of Alzheimer’s disease. Although at first it was assumed it was old age senility. She retired in a home for opera singers paid for by the German state. My mother, her sister and I lived in New York. We couldn’t be by her side all the time in her last months. Mom supported the family, ‘oma/grandma’ took care of me. Her neighbors knew of the Callas treasures and talked her out of them. When we arrived in her last days, most everything was gone. All we have are a few distant remnants of her glorious past. She is hard to find on the internet although some opera buffs have found recordings of her we have yet to find ourselves. We only own one record and her publicity photos. Here she is at the height of her career. Anny was my Auntie Mame to the fullest. Grande dame, dramatic, ultra chic and worldly – she taught me how to “live”. Anny Cornelius – today is her birthday.